We all have bad habits! Some are difficult to break, and some are just too cute! Sucking the thumb, though it is cute when your baby has picked up on it, after the ages of 6 and 8, when adult teeth begin to show themselves, it may cause a series of dental issues that will be unpleasant to the child. Thumb sucking, for an infant, is a reflex and can be seen as early as 15 weeks after conception. It is an act that warmth and comfort for the baby. Many dentists recommend breaking the habit as early as possible. If not, some infants may carry it on into their toddler stages and possibly into adulthood. Typically no harm is done to the oral cavity or dentition until adult teeth erupt. However, when the habit is perpetuated it will cause the palate of the mouth to rise. 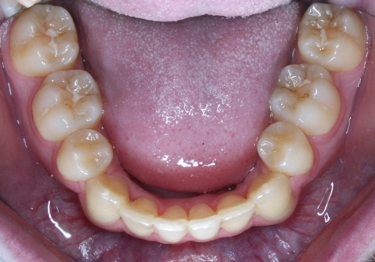 This is caused by the constant pressure and sucking motion on the teeth. The incisors begin to protrude forward creating a full open bite. The then “correct” bit for the person will be one where the front teeth are not in contact, while the teeth in the back are not. The bite will remain open until orthodontics procedures take place. 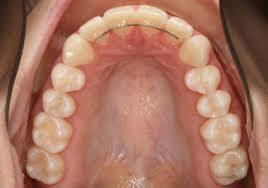 Here at iSmile Orthodontics, our doctors specialize in fixing open bites and “buckteeth” (malocclusion) by using braces to correct the bite. Unfortunately, the teeth will not be perfect UNLESS the thumb sucking habit is corrected. Even swallowing incorrectly by pushing the tongue forcefully against the teeth when swallowing can cause the teeth to protrude. Our doctors have special techniques, habit breakers and/or tongue spurs that are used to help stop the thumb from entering into the mouth and the tongue from pushing forward. Call and ask about orthodontic treatment. We offer treatment for children and adults from braces, clear and metal, to Invisalign! Our Wisdom teeth can be a real issue! Do we have to get them removed? Recent studies have shown that the third molar or, what is commonly known as, the wisdom tooth, served a purpose centuries ago when humans survived on many kinds of nuts, larger foods and bones. During time of Neanderthals, the wisdom tooth was a necessity. Their jaws were much larger than the modern human jaw. This space allowed for the four extra teeth. Over time, human’s skulls have all around become smaller due to evolution. NOT making us les intelligent, but further more making those teeth no longer necessary or survival. Unfortunately, wisdom teeth cause a bit of a painful problem for us now because if they stay in the bone oral issues may arise. For example, food may be trapped in the gum tissues surrounding the tooth which causes bacterial growth. This growth of bacteria can lead to different types of infection. The tooth itself decays and cysts begin to form. 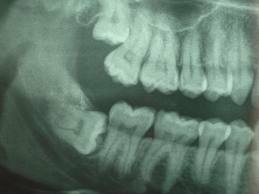 The cysts that form may cause serious destruction to the bones and increases the chances of ruining the adjacent teeth. Though a rare case, tumors can develop in the cyst causing the jaw to break if the cyst were to rupture. Not every needs to have their wise tooth removed, but around 80-85% need to have them removed. 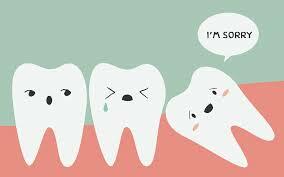 Sometimes wisdom teeth can cause sensitivity to temperature and sweet foods and even change the way a person bites. This is called malocclusion. Your wisdom teeth can cause crowding in the front of your mouth where the rest of your adult teeth are, inevitable changing your bite. 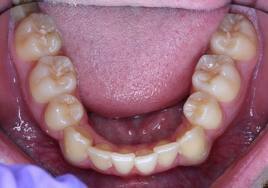 This is the reason why many patients with a lot of crowding are recommended to remove teeth to create space. The space allows your orthodontist to give you an improved bite with no crowding. 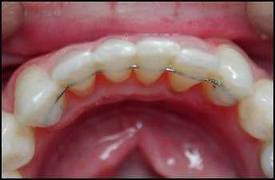 Straighter teeth are cleaner teeth. 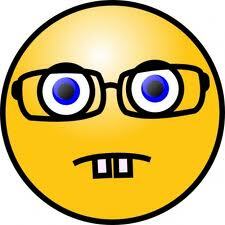 If you noticed that you have a strange bit like this one contact us here at iSmile Orthodontics. We have many locations White Plains, New York, Yonkers, New York and Bridgport, Connecticut. We would love to give you a great smile!